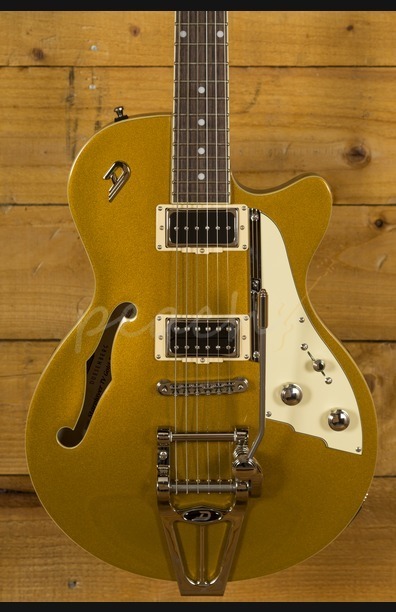 Another super cool Duesenberg starplayer TV model, finished in a cool goldtop. 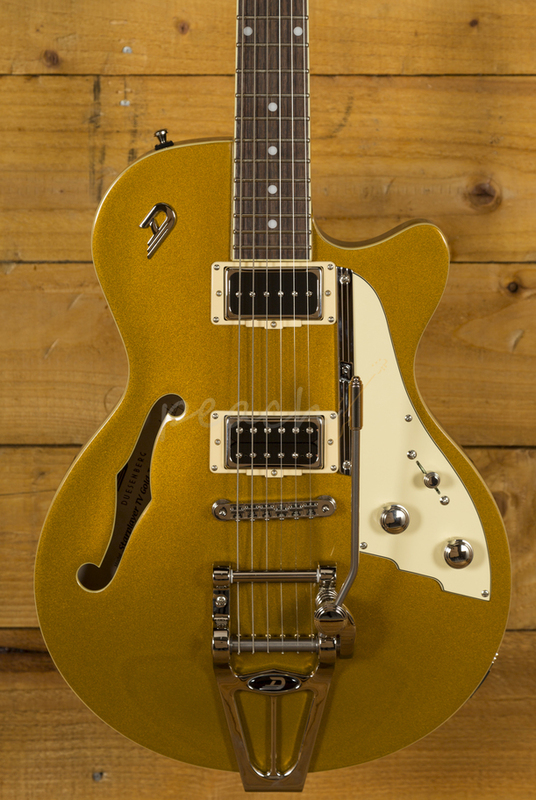 We love these guitars at Peach, they're really playable and have great retro type tone that's till pretty unique to Duesenberg. 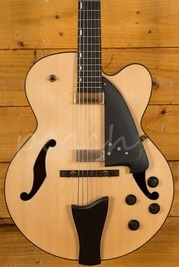 Comes with a Deusenberg Hard Case. 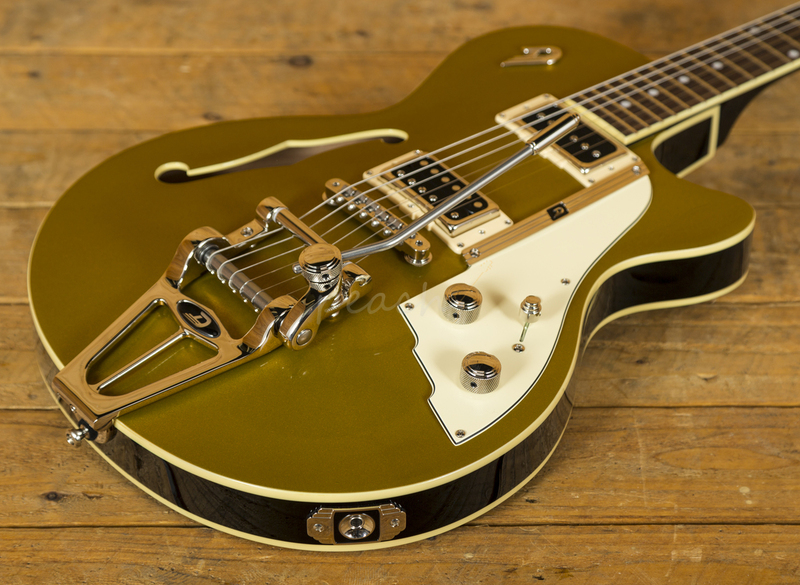 "It's not for nothing that the Starplayer TV is Duesenberg's bestselling guitar. 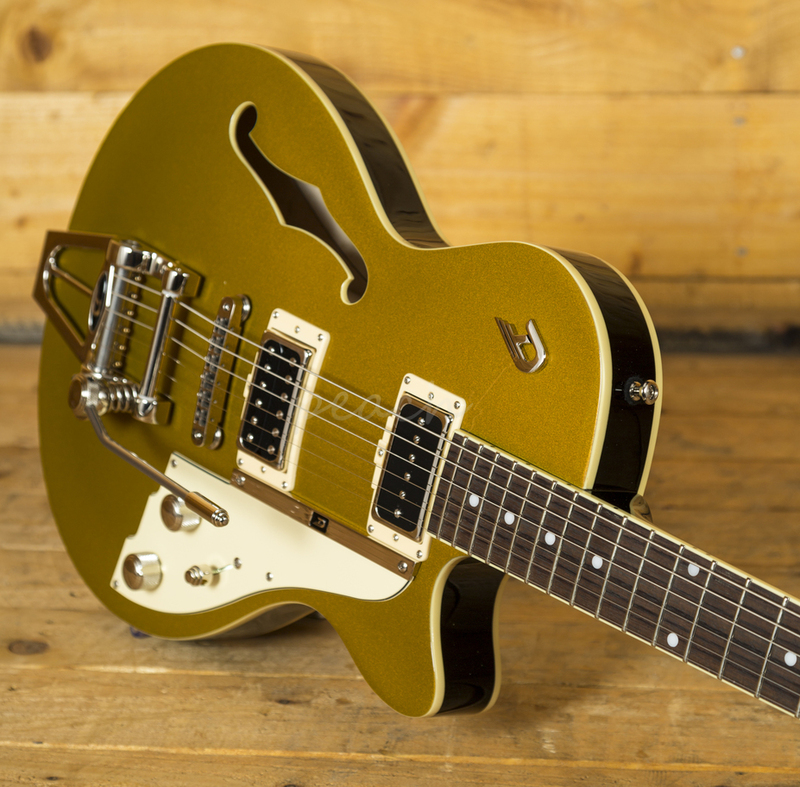 Its punchiness, open sound and robustness, the always in-tune Deluxe Tremola and perfect playability make the Starplayer a very versatile instrument. 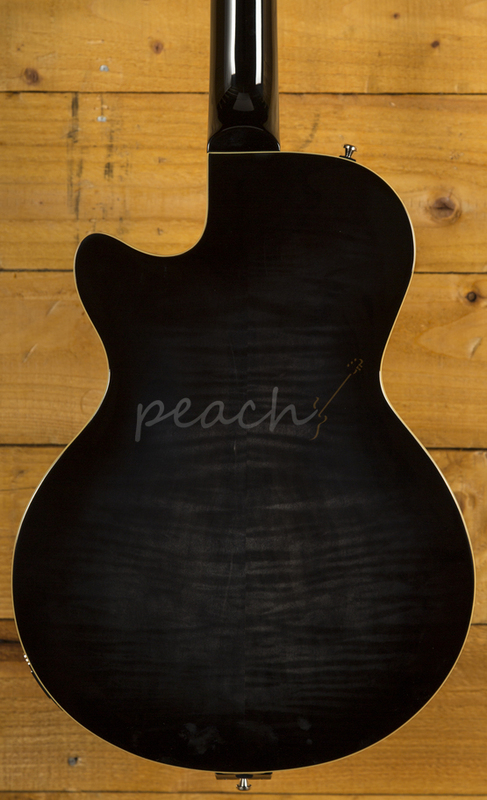 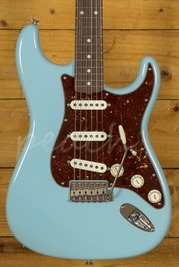 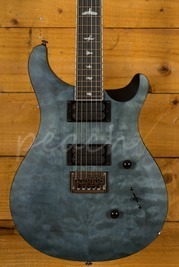 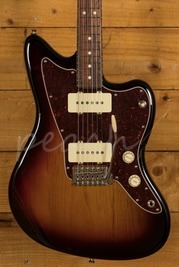 In addition, the Starplayer's arched top and back bestows the guitar with a very stylish look. 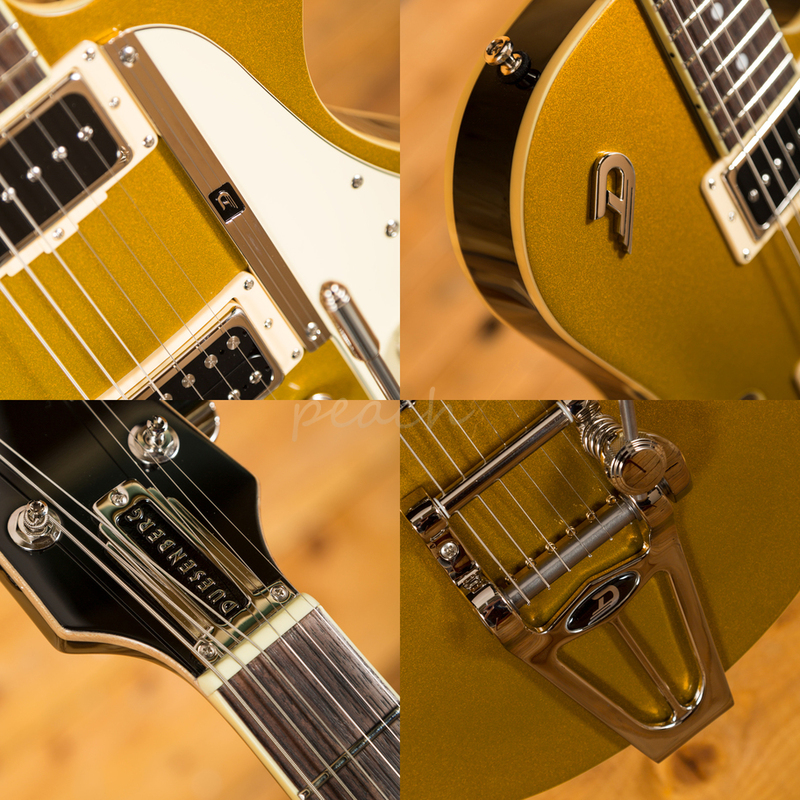 Even being such a versatile instrument, it always retains its discreet character and enriches every type or style of music with its distinct Duesenberg sound. 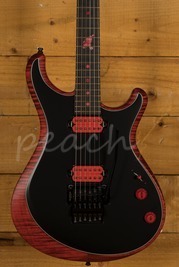 This is proven by the many guitarists that come from all corners of the musical spectrum who chose this model. 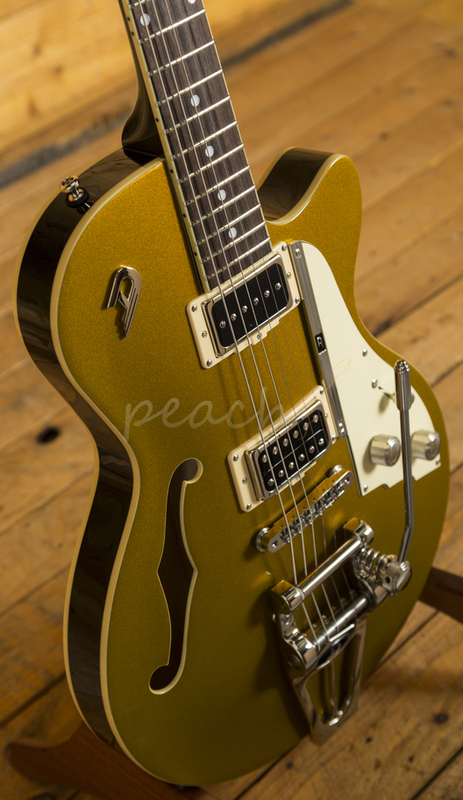 By now, The Domino P-90 neck pickup and the Grand Vintage Humbucker bridge pickup, an open and transparent sounding PAF-Type, have given the Starplayer TV its classic sound."